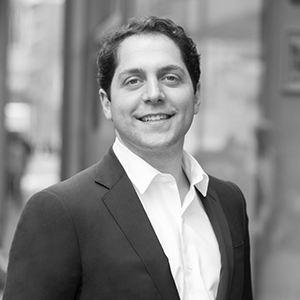 Seth Weissman is the Founder and Managing Member of Urban Standard Capital where he oversees New York focused real estate investment funds including core-plus, value-add, development and credit strategies. Previously, Seth worked in the real estate private equity group of Perry Capital, a multi-strategy hedge fund and for Goldman Sachs & Co. in their Investment Banking Division. Seth is a member of the Victory Campaign Board of the Victory Fund and previously served on Community Board 4 (Chelsea and Hells Kitchen), where he sat on the Preservation and Planning Committee as well as the Housing, Health, and Human Services Committee. In 2008, Real Estate New York named Seth one of their 30 Under 30 rising stars of commercial real estate and in 2011, the New York Observer name Seth as one of their 50 most influential LGBT leaders. Seth has been featured in The New York Times, New York Post, New York Magazine and other leading publications and has been a featured speaker at the Institute for Private Investors (IPI), the Pratt Institute, UBS, Enterprise Community Partners and Deutsche Bank. Seth earned his BS in Economics from the Wharton School of Business at the University of Pennsylvania.